Adam spent much of his childhood on a bicycle exploring Harvard Square, absorbing the rich cultural ferment of the 1970s. Unsatisfied with the socio-economic offerings of the early 1980s, at 18 he took his vows of renunciation, poverty and celibacy and lived as a monk for several years, studying massage and healing work while living in a small but vibrant community above a funky jazz and reggae club. He eventually rejoined the mainstream world again, but never quite shook a core orientation of service and renunciation. The later 1980s found him studying Hatha Yoga with Eddie Modestini–a practice of solo-healing he experienced as a complement to the work of giving and receiving healing touch with others–and discovering music, spending 15 years playing bass in The Equalites, a reggae-rock band he co-founded. His post-monk plan of moving to a remote stretch of the California coast instead turned into decades of vibrant life in rural Massachusetts, including homesteading for nearly 25 years at Tree Toad Farm where he now offers session work, special events and customized retreat accommodations for people hungry for a nourishing alternative to the pace and practices of modern living. Adam was blessed to spend many years playing bass in support of sacred chant pioneer Krishna Das, and later with Bhakti Yoga legend Shyamdas, both of whom nourished his love of sacred sound and the yoga of devotion. 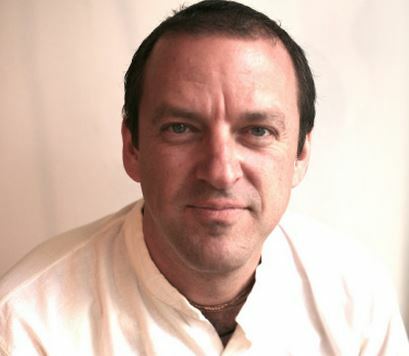 For the last several years, and especially since Shyamdas’ passing in 2013, Adam has been on the road offering his own voice, teachings and kirtan across America, Canada and India. A lifelong student of the devotional life, Adam enjoys sharing perspectives on the path of love and devotion wherever the opportunity arises.